We try to limit our sugar consumption. Try. That’s not to say we always succeed (hello, homemade ice cream), but in general, Skittles and M&Ms are not part of the meal plan. So when we buy the 10-pound bags of brown sugar at Costco, we have to do something else with it. Like use it on our skin (sugar scrubs seem to be all the rage these days, and you know how I love to jump on the latest trend). I used to use a number of different face washes for acne and oily skin, and nothing really seemed to do much. Then I had the shampoo revelation, and wondered if I was over-drying my skin with the chemical-laden cleansers, which in turn made it produce more oil. So I quit the OTC stuff and started washing my face with a mix of oil and sugar (oil sounds counterintuitive, but it really works). Now I mostly just rinse with water and scrub once a week or less, and my skin has never been more clear. 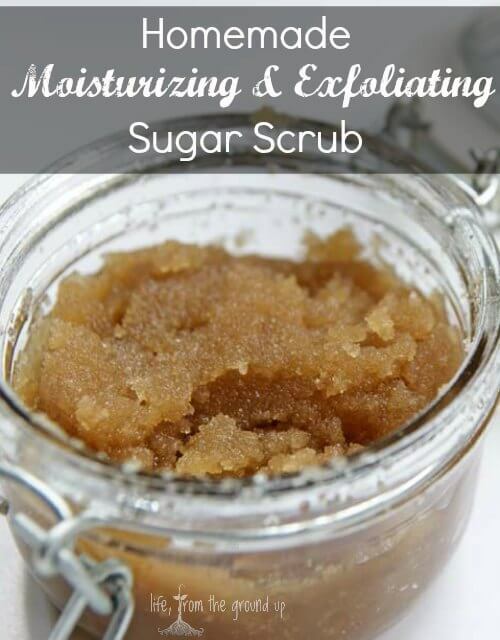 Sugar is great for gentle exfoliation, and the oil moisturizes at the same time. 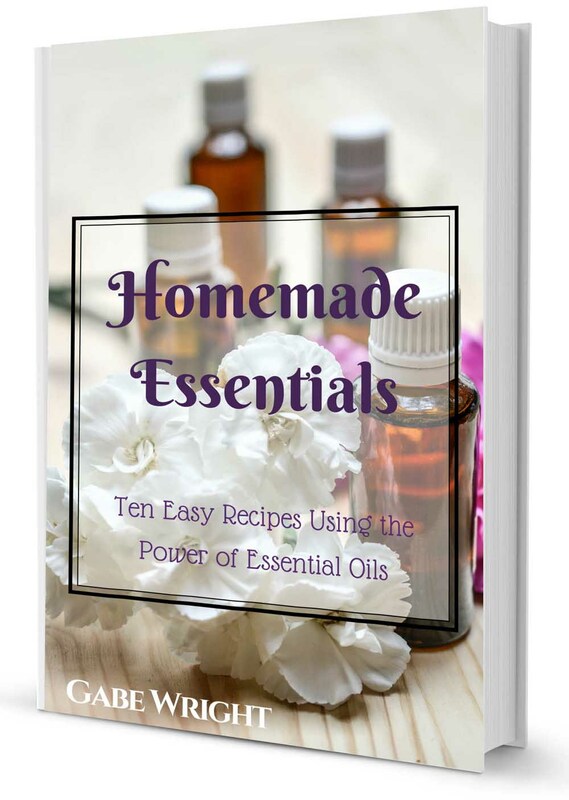 It’s not necessary, but you can also add skin-friendly essential oils such as lavender, geranium or orange (note: some citrus can cause photosensitivity; to learn more about the amazing benefits of essential oils, see my Essential Oils page!). 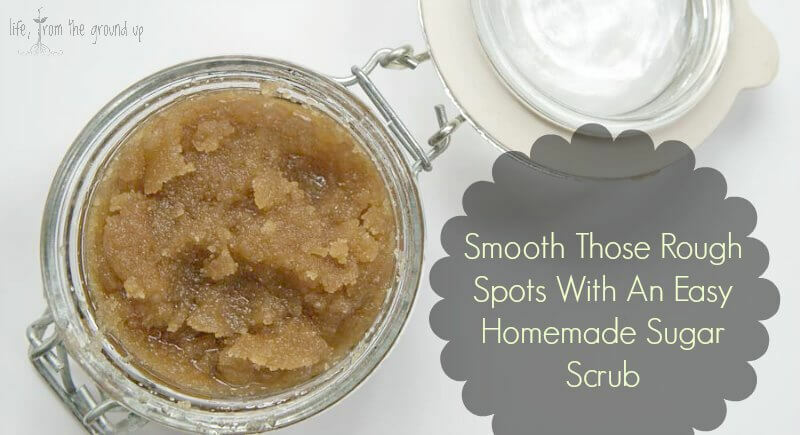 Of all the homemade health-type products I make, this sugar scrub is by far the easiest. Two common ingredients, no melting involved… if you’re racing, I’ll bet you could do it under 60 seconds. I use about a 1.5:1 sugar-to-oil ratio, but if you want it soupier, go 1:1 (or 2:1 sugar if you want it a little more on the crumbly side). Olive or almond oils are a good option, as is coconut; just keep in mind that coconut oil is solid below 76 degrees, so it may be harder to use in cooler weather. To use the sugar scrub, scoop up a glob with your finger and massage it gently into your skin using a circular motion, then rinse with warm water. Go easy on the face, as that skin is pretty sensitive. Go to town on your feet though. This is also great for peeling skin if you get too much sun. 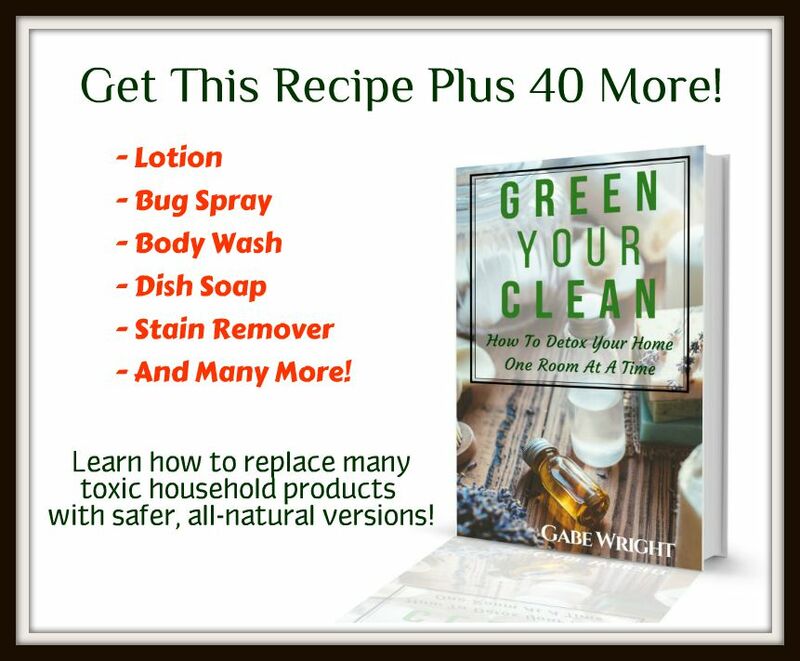 One word of caution: this is oil-based, so if you’re using it in the tub or shower, be careful, as the floor can get slippery if you don’t rinse it well! In a small glass jar, mix all the ingredients together. Interested in more homemade goodness? Clean up your entire routine with this body butter (and a not-so-greasy version), toothpaste, deodorant, lip balm, and shampoo. Thanks for sharing! Does it ever go bad very quickly? Honestly, I’ve had mine under the sink for over a year and haven’t had any problems. I guess if you introduce a lot of water and dead skin cells or something like that, it could develop mold, but mine is still going strong!